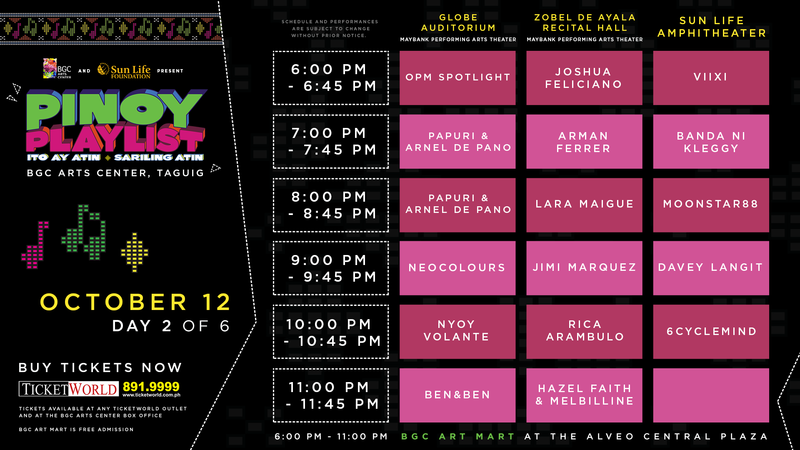 Witness hundreds of Filipino artists cover a spectrum of genres at the 6-day music festival Pinoy Playlist. 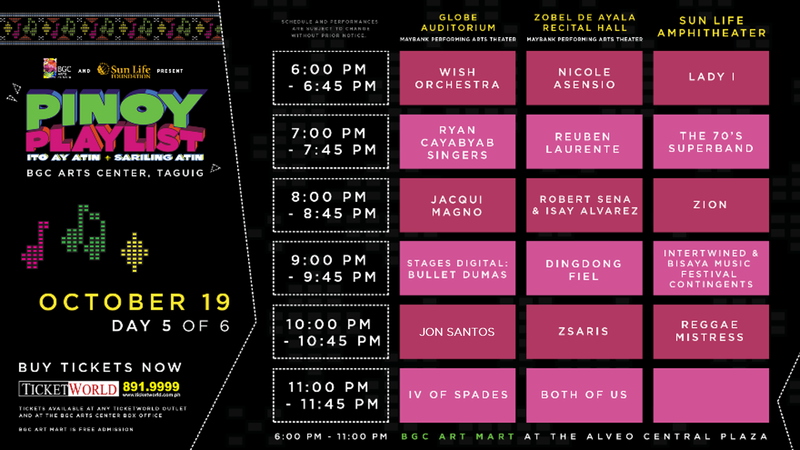 Co-curated by Maestro Ryan Cayabyab, Moy Ortiz, and Noel Ferrer, the upcoming festival will be held at the BGC Arts Center in Taguig from October 11, 12, to 13 and October 18, 19, to 20. 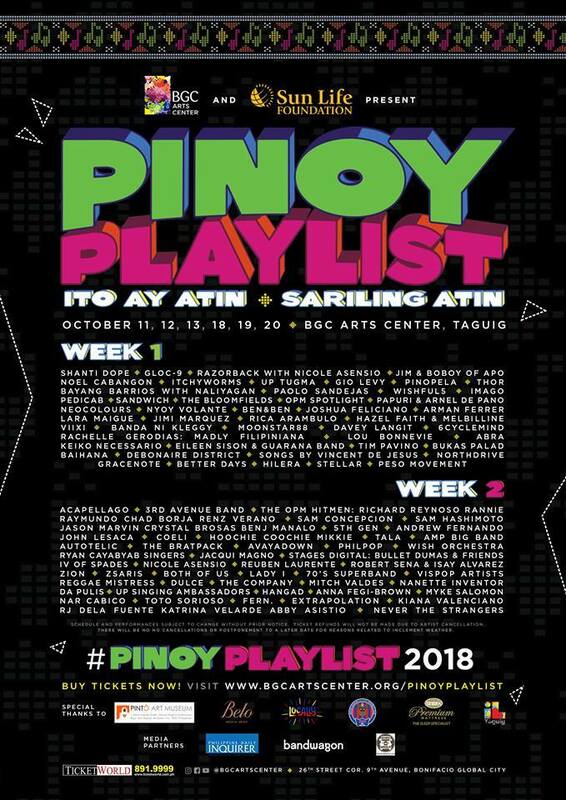 Pinoy Playlist 2018 will be the first run of the annual event and is slated to present 102 local musicians over the 6-day festival, featuring the live music of Abra, IV Of Spades, Autotelic, Ben&Ben, The Brat Pack, Coeli, Gio Levy, Itchyworms, Johnoy Danao, Keiko Necesario, Kiana Valenciano, Pedicab, Razorback, Sandwich, Bullet Dumas, Shanti Dope, and more. For the full lineup and festival schedules, visit the official Pinoy Playlist website. 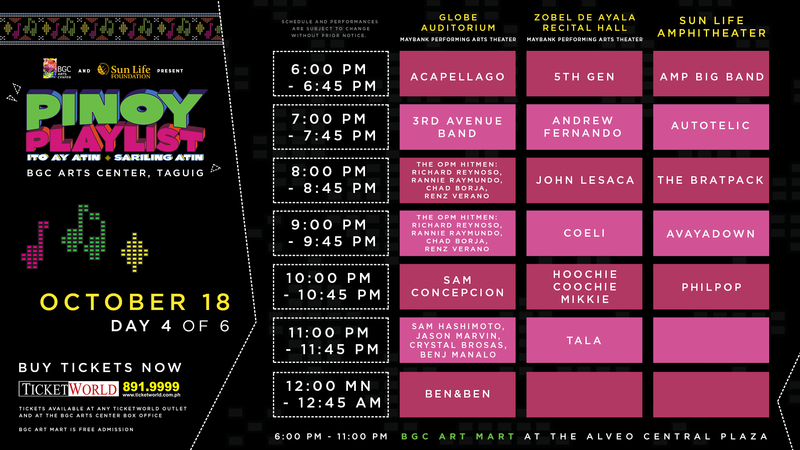 Tickets are available at Ticket World outlets for PHP 2,250 (Festival Pass), PHP 1,500 (3-Day Pass), PHP 750 (1-Day Pass). 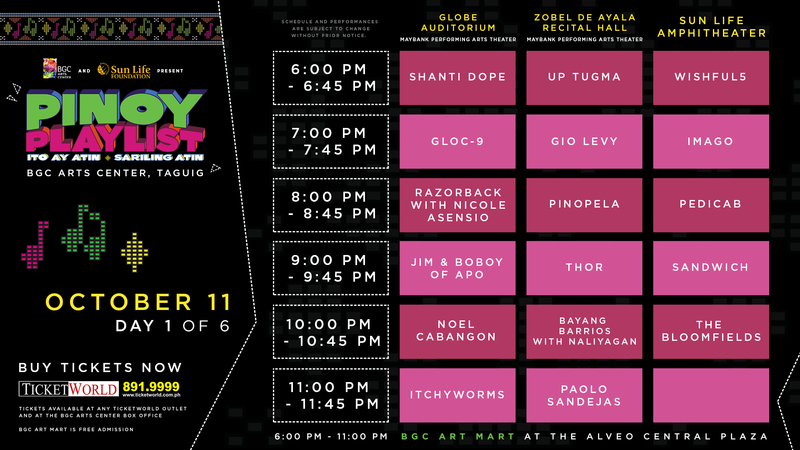 Ticket bundles for groups of four are also available for PHP 7,650 (Festival Pass), PHP 5,000 (3-Day Pass), and PHP 2,500 (1-Day Pass). Check out the poster below for details. 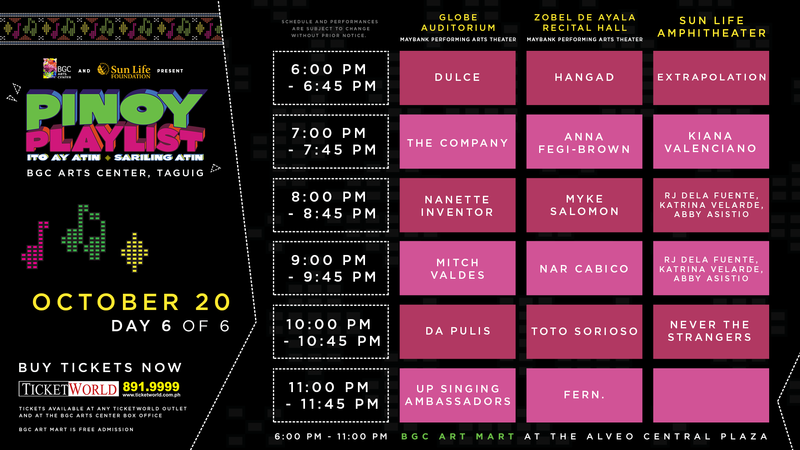 Pinoy Playlist tickets are available at Ticket World outlets for PHP 2,250 (Festival Pass), PHP 1,500 (3-Day Pass), PHP 750 (1-Day Pass). Ticket bundles for groups of four are also available for PHP 7,650 (Festival Pass), PHP 5,000 (3-Day Pass), and PHP 2,500 (1-Day Pass).